So Who Makes the Decisions? We believe the church body is best served with team leadership, rather than a traditional hierarchy of paid staff members. Using the early church as a guide, we want to follow God’s plan for the church body rather than depending on our culture’s conventional, western models on how organizations should operate. 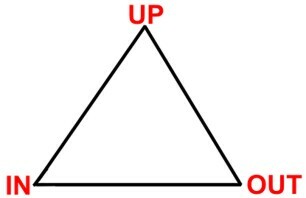 Our core leadership is intended to support our three-part discipleship approach, which is depicted in the triangle to the right. This is just one way to picture a balanced life, based on Jesus’ example. Our discipleship approach is to mentor and equip other disciples, handing off authority the way Jesus did with his own disciples, and the way the early Apostles did when they planted and advised new churches. We seek to find where God is working and join him there. Therefore, using more of an early church model of leadership, we want to grow and build our church in love as each part does its work. With this discipleship approach in mind, our leadership team should represent the five ministry gifts talked about in Ephesians. We refer to these ministry roles as APEST. All of these roles are needed for the functioning of a healthy church full of disciples making disciples. It was never God’s intention for senior pastors to attempt to equip and build up the body alone. There are no scriptures even suggesting that one senior shepherd has been given everything necessary to equip and perfect a particular congregation. Leaders are meant to cooperate in their special gifts and abilities, and together govern, guide, gather, ground and guard God’s people. The early church is an example of how to do this. Accordingly, we have structured a team of staff, elders and lay leaders representing all of these roles. In our leadership structure, we have added another role, “Operations,” which refers to serving the practical needs and requirements of our fellowship, such as administration, paying the bills, maintaining the building, and keeping things running. 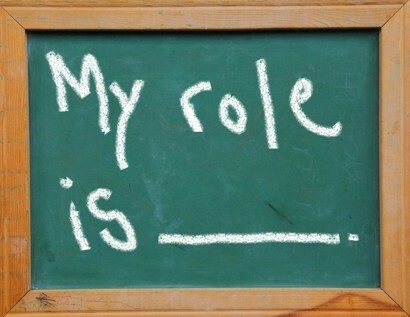 This role supports and sometimes advises the other roles. Our intent is to make sure these five ministry gifts are balanced on our staff as well as in our group of elders. Since people often have strengths in more than one area, leadership roles can be fluid, according to what God calls the group to do. But rather than having a “lead pastor” who is somehow expected to be good at and supervise everything, this group leads our church instead, with a team approach. The leadership team lays out the vision and mission, cares for the body, and moves us forward in discipleship. As far as decision-making, the buck stops with the elders, whom the church body nominates and confirms. Generally made up of a group of five to six church members, the elders have no power individually. Instead, based on scripture, prayer and our by-laws and policies, they make decisions for the church in unity. The fivefold ministry roles aren’t just for those designated as formal church leaders. As the Priesthood of Believers, we are all called into the work of the church. Each of us was created and shaped to serve using at least one of these ministry gifts referred to in Ephesians, and often we have strengths in more than one area. There are one or two that we do better and more naturally than any of the others. These bring us the most life and the most joy. This doesn’t mean we ignore the other ministry areas. While we may not all be pastors, weʼre all called to care. While we may not all be prophets, weʼre all called to listen to the voice of our Father and respond. While we may not all be evangelists, weʼre all called to bring new people into the Kingdom. While we may not all be apostles, weʼre all called to push the Kingdom into new places. And while we may not all be teachers, weʼre all called to hold out the light of scripture. 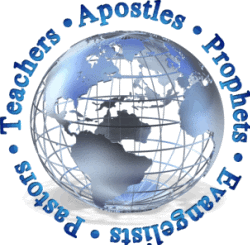 Go to the Fivefold Gifts Survey web site and take the survey. You can also use the Fivefold Ministry Test. This will give you an introduction to the area or areas where you have passion and gifts to offer in service to God.